Do we have room for two more? We’re now less than a week away from the historic SmackDown 1000 and that means we should be in for some big name attractions. In this case, there are nineteen years worth of names to pick from and a lot of them are bigger than others. As it turns out, two of the very biggest, both literally and figuratively, are going to be at the show. Tonight on SmackDown Live, the Undertaker was confirmed for SmackDown 1000. 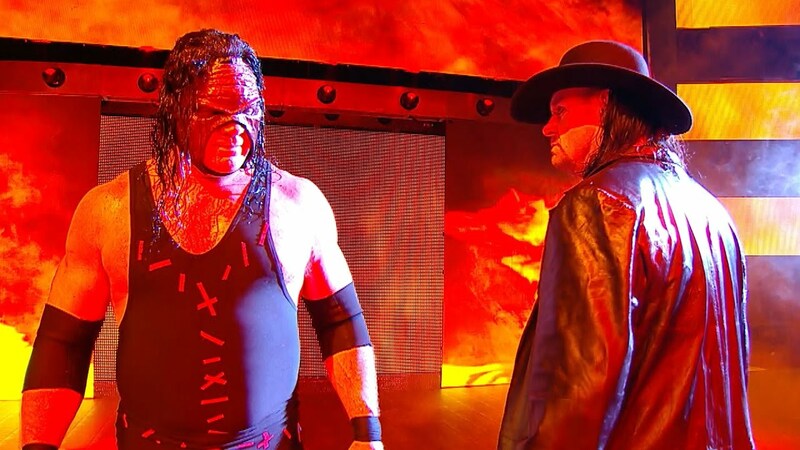 There is no word on what Undertaker will be doing, though he and Kane are currently scheduled to face D-Generation X at next month’s Crown Jewel. Speaking of Kane, according to PWInsider.com, he will also be making an appearance at next Tuesday’s show. Again, there is no word on what Kane will be doing. This, just two years later. Opinion: I can’t say I’m complaining about either of these names as they both have a big story going on at the moment and it makes sense to have them on such an historic show. Undertaker is one of the biggest names in the history of SmackDown Live and it would make sense to have Kane, who won the show’s World Title, on there as well. Just hopefully they don’t spend a long segment talking about their tag match because there’s a lot to get through on Tuesday. Which of these two are you most excited for? Who else do you want on the show? Let us know in the comments below. The post Literally And Figuratively. Two Huge Names Confirmed For SmackDown Live. appeared first on WrestlingRumors.net.